Many people compare American politics to a popularity contest. At times it seems that the most popular and well-known candidate will win regardless of their views or platform. No matter what character and intellect a person possesses and the ideas they have for the future of the United States, the celebrity factor seems to always play a major role in who the American people vote for come Election Day every November. The Democrats have Barack Obama. Obama came into the 2008 election with a wave of popularity and had growing public support as the campaign went. Now, he is still one of the most popular men in the nation and has a solid approval rating. Obama has already made it clear, even though nearly every American saw it coming, that he is going to run for reelection in 2012 with his hopes high for a second term as President of the United States of America. Now, it is the Republicans turn to promote candidates to compete with Obama. So far, there has only been one major name that is being discussed in the running. Ron Paul has been in the news as a potential running mate is talking about the election. 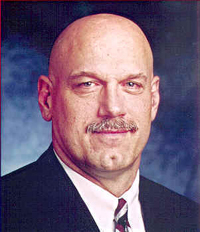 Once known as “The Body,” the man currently known as “The Mind,” Jesse Ventura went on Good Morning America on ABC and talked about putting his name down as Paul’s running mate in 2012. However, Paul is a Republican and Ventura is not exactly comfortable with that. The former Governor of Minnesota said that the only way he would want to run for Vice President in 2012 would be under Ron Paul if and only if he runs as an Independent candidate and not under the Republican Party. Ventura was on the program mainly to talk about 63 Documents the Government Doesn’t Want You to Read, his new book. However, the talk about his potential candidacy in 2012 took over the conversation. However, Paul ran as a Republican in 2008 and is expected to do so again in 2012. Whether or not Ventura is a part of 2012 election picture, his views that the current two party system we have is not working out is evidenced by the constant problems in Congress and is without a doubt fairly accurate. I voted for President Obama in 2008. I hoping for a little Change I could believe in. That turned out to be a total flop. We are now actively engaged in military actions in 5 Countries. We have given TRILLIONS of $ to corporations and bankers. He re signed the so called Patriot Act into law in direct violation of our 4th amendment protections. Not to mention -this guy is as transparent as a block of concrete! I could go on and on. Needless to say I feel let down. In 2012 I will be voting for Ron Paul (and who ever hitches his or her wagon to him. And I have no doubt that many others who supported Obama in 2008 will do the same.